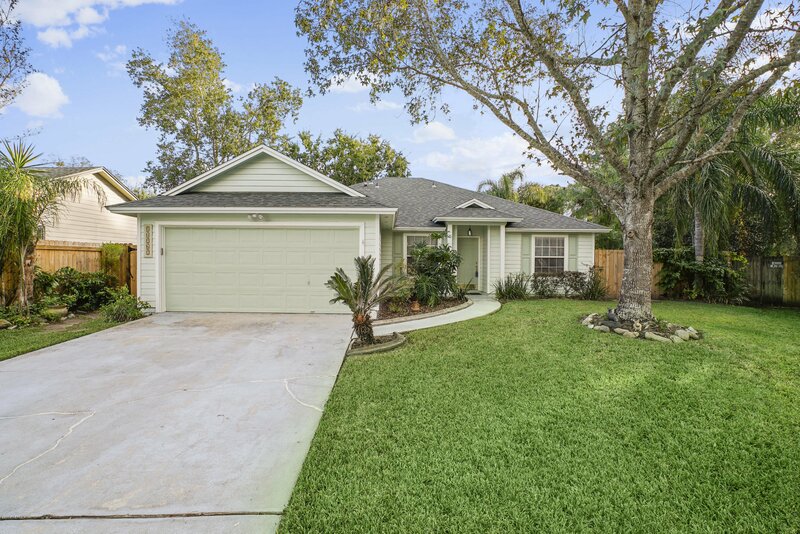 Well maintained pool home and situated on a quiet cul-de-sac street is waiting for you to call home. This is an incredibly charing 3/2 split floor plan with a fresh painted exterior and brand new flooring just installed throughout the living room space. Every square foot of this home has been utilized perfectly, but the outside is where you will truly make the fondest memories. The backyard is a tropical oasis that will be sure to host great family get together's, back yard barbecues' and endless summer pool parties. Take advantage of a prime location just 3 miles to the beach, close to shopping, delicious restaurants, and much more. Do not miss out on this great value home in an incredible neighborhood. Listing courtesy of ANCIENT CITY REAL ESTATE LLC. Selling Office: EXIT REAL ESTATE GALLERY.